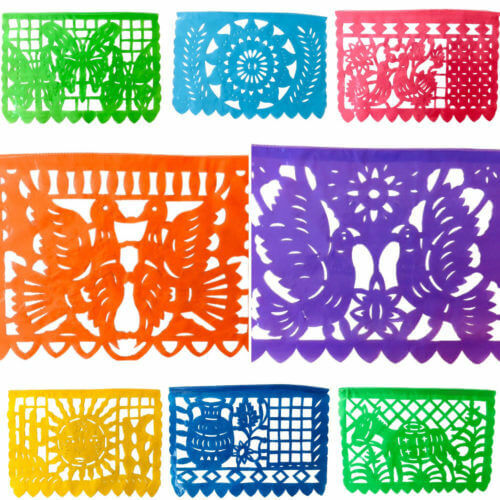 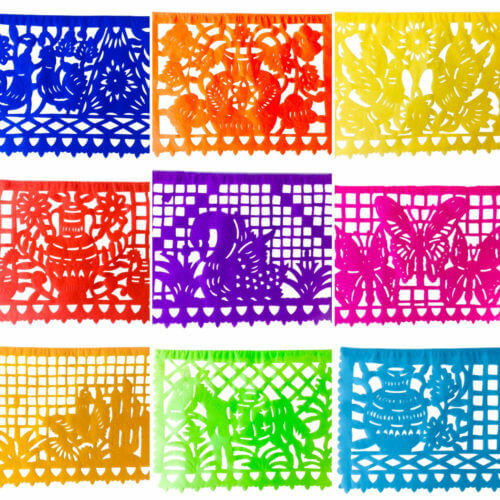 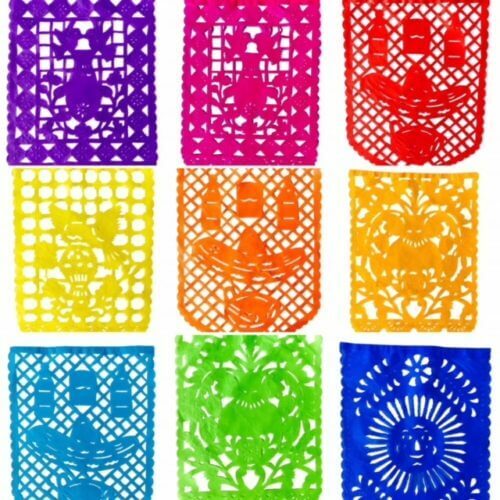 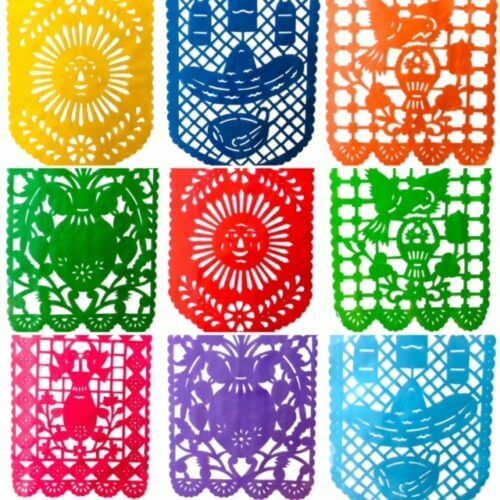 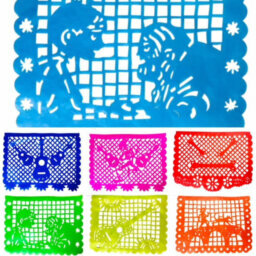 Category: Papel Picado Fiesta Fun Flags and Pinatas! 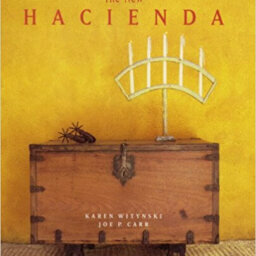 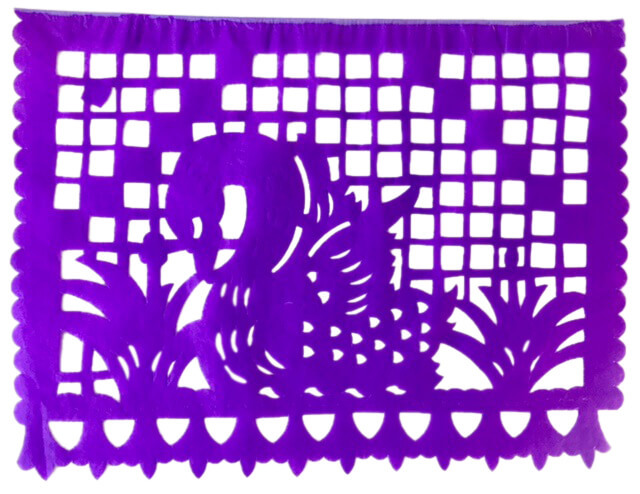 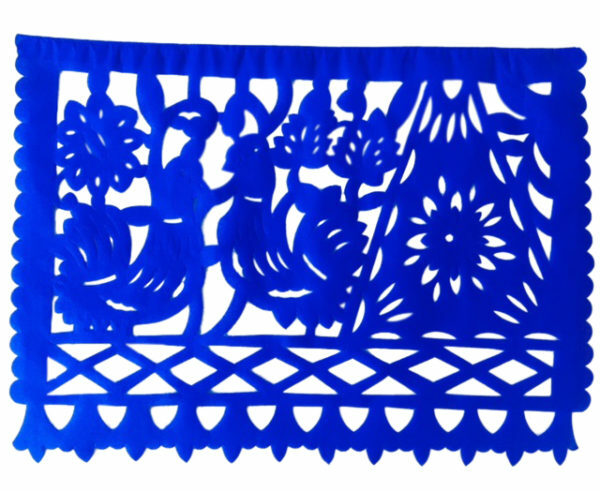 Classic banner that is used all over Mexico to adorn weddings, churches, baptisms, quinceaneras and fiestas. 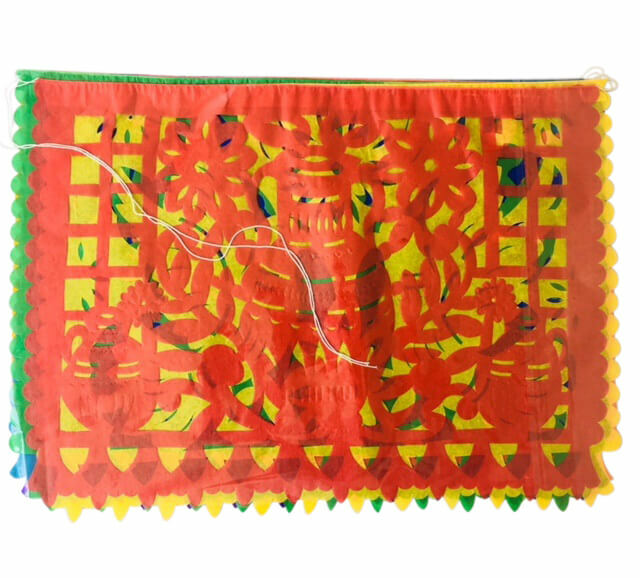 Hangs 16 feet Long – Each flag is 13.5″ tall and 17″ wide and 10 are included. Each flag depicts folk art images: birds, flowers, sun, food. 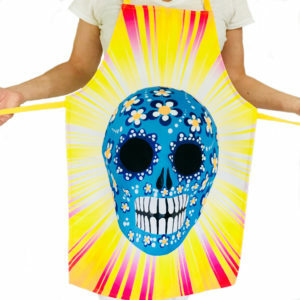 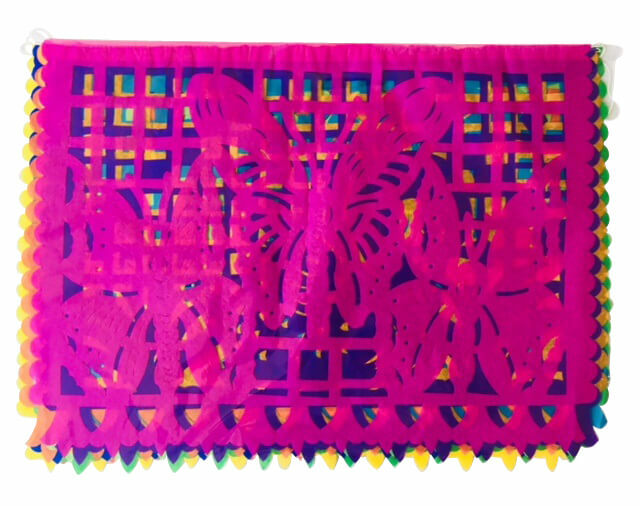 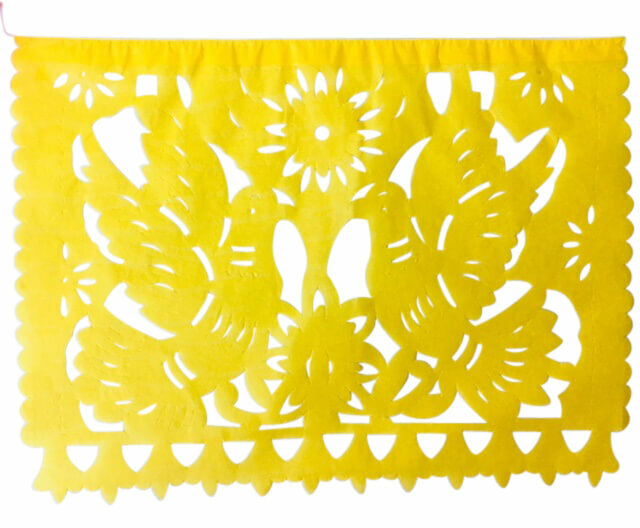 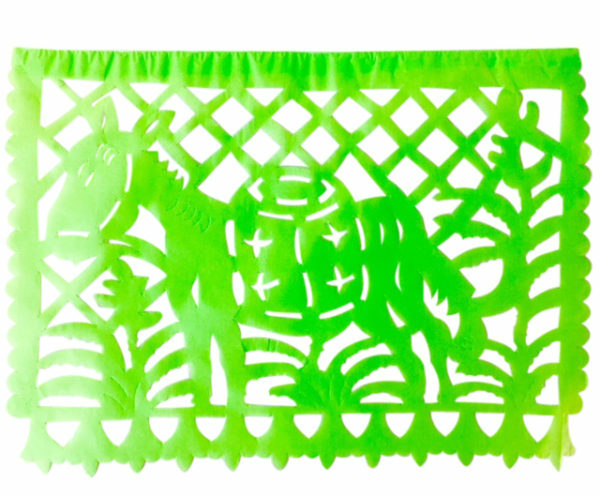 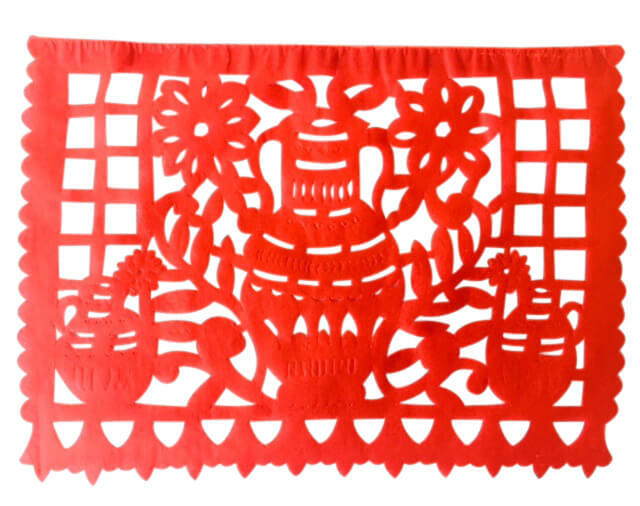 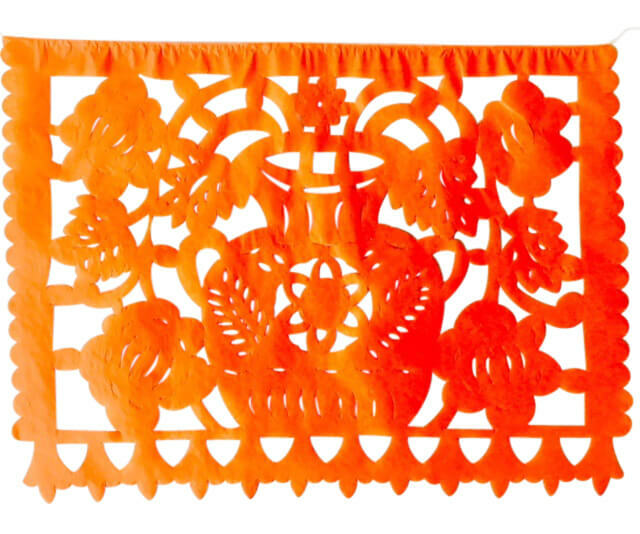 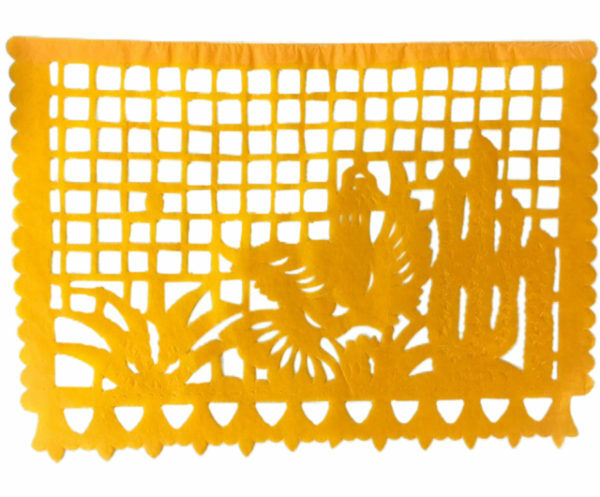 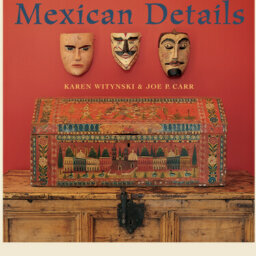 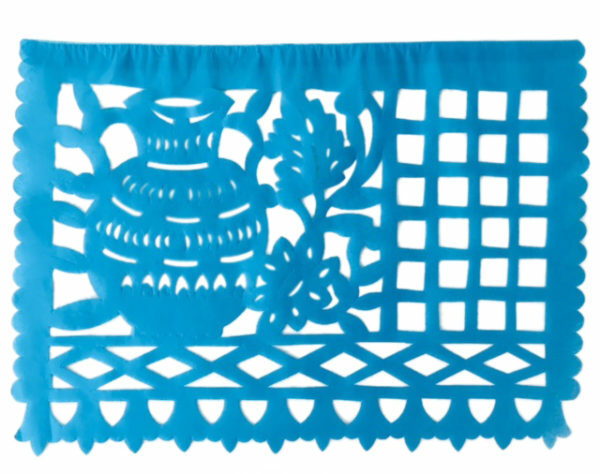 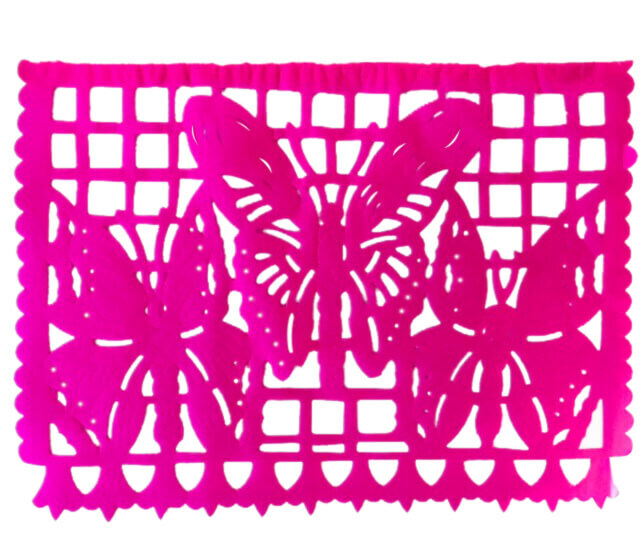 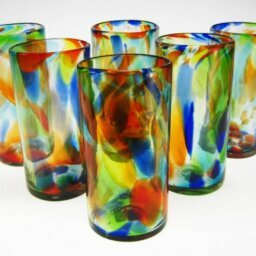 Lovely and bright addition to your next Fiesta decor!